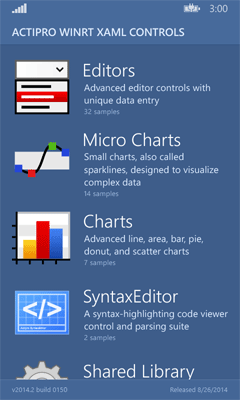 In today's post, we will introduce another new micro chart control that was added in the 2014.2 versions of our WPF, Silverlight, and WinRT/XAML controls: the MicroTrendIndicator control. What Is a Trend Indicator? The trend indicator is a three state control that is intended to reflect whether a numeric value is higher, the same as, or lower than an origin value. This sort of element is commonly used in stock value display where the origin value is bound to the previous day's stock price, and the value is bound to the current price. The trend indicator then renders an upward green triangle if there was positive movement, a gray line if no change, or a red triangle if there was negative movement. If the values are updating live, the indicator changes use a pleasing animation that rotates and fades in the new indicator. The template for each state's indicator can be customized as well, allowing for any combination of shapes and elements to indicate the trend state. 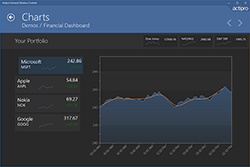 There are a lot of uses for trend indicators, such as in dashboards or reports. 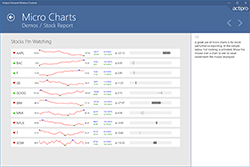 Download the 2014.2 versions of our products to check out the new chart type. 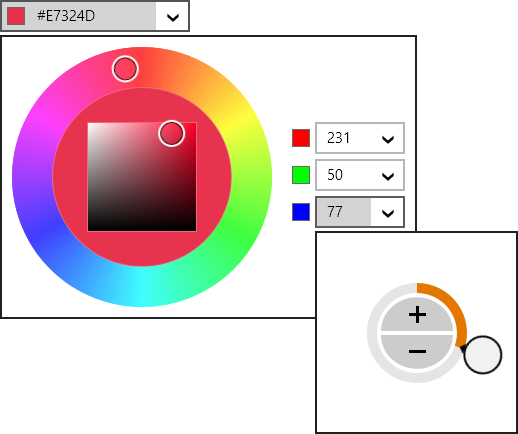 In today's post, I wanted to introduce a new micro chart control that was added in the 2014.2 versions of our WPF, Silverlight, and WinRT/XAML controls: the MicroSegmentChart control. What Is a Segment Chart? A segment chart provides a visual representation of an integer value in relation to a total number. Each segment in the chart is rendered as highlighted or unhighlighted. For instance, if the value is 3 of 10, there will be 10 total segments displayed, with the first 3 rendering as highlighted. This sort of chart is great for use on dashboards, and also as an indicator of steps or progress achieved. The style for the segments can be customized, allowing for any sort of shape, size, or color combination. The Panel used to render the chart can also be set, enabling wrapping and other layout scenarios. 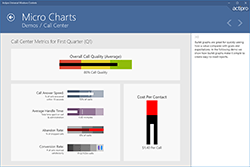 There are a lot of uses for a segment chart, such as in dashboards or as progress indicators. 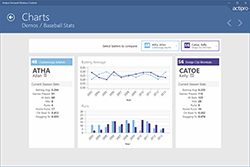 Download the 2014.2 versions of our products to check out the new chart type. 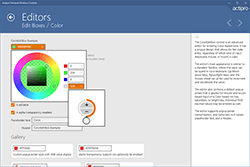 The 2014.4 versions of our WPF, Silverlight, and WinRT/XAML controls have been released and are now available for download. 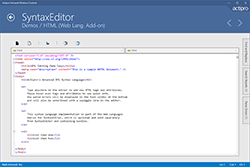 Note that the 2014.2 version of the WinRT/XAML controls came out last month, introducing our Editors controls, but a new maintenance release is available today adding other new features. Docking/MDI received numerous updates, including a new option for rafting windows to not hide when in scenario where their owner DockSite is hidden, such as if it's nested in tabs itself. 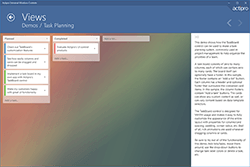 Many updates to focus handling were made, especially in relation to interop controls like WinForms/ActiveX. Updated the Country and Currency classes with the latest ISO data. 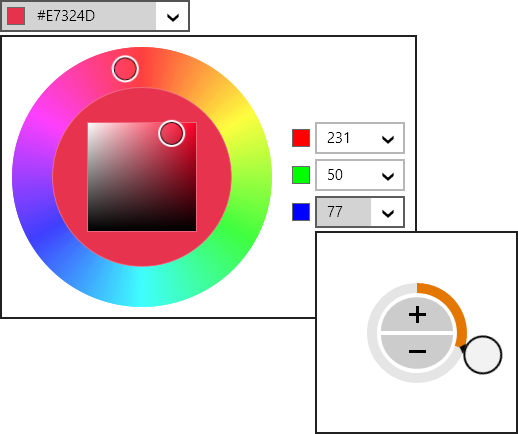 As announced in recent blog posts, our WinRT/XAML controls now have some really unique and universal (Windows Store / Windows Phone) controls for accepting input of common data types. See our Edit Boxes Overview for a summary of the controls and some links to additional posts describing their functionality. A new segment chart has been added that allows for visual display of an integer value within a total..
Another new control is the arrow indicator displayed on the left side of the stock chart below. It's called a trend indicator and alters its UI to reflect whether a numeric value is greater than, the same as, or less than an origin value. Six new built-in chart palettes have been added as well, including IceCream and Melon. We've created a new custom property editor sample that shows how to easily add a custom property editor for a certain Type. 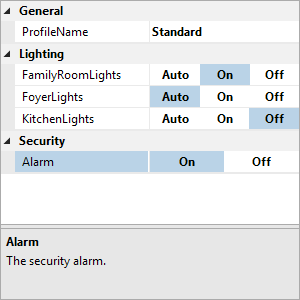 Double-clicking a property name has been improved such that if the property doesn't support standard values, it will attempt to focus the related editor instead and select all text. We've added some nice new features like a ScrollIntoView method that can ensure that a text position is visible within the view, improved caret/selection movement around and delete/backspace of multi-byte characters, and improved backspace to move to the previous tab stop when auto-convert tabs to spaces is active and the caret is before the first non-whitespace character on the line. We've had a lot of requests for showing how to support ASP-style server tags, where the C# within the tags has automated IntelliPrompt. We're happy to deliver a new full source sample (seen above) that shows how to harness our .NET Languages Add-on within server tags. Today's releases contain the first version of our Python Language Add-on, a new premium add-on that supports both v2.x and v3.x syntax. We'll blog about the language in more detail soon, but you can download and start using it today. A new triangle shape can be used in UI such as breadcrumbs, tabs, etc. This shape can auto-size to its container and supports strokes and fills. We've added a ZoomLevelToTextFormattingModeConverter class, which can switch from Display to Ideal text formatting mode when the zoom level is increased, thereby keeping text clear in any scenario. 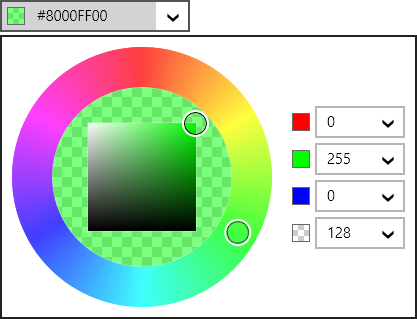 The 2014.2 version of our WinRT/XAML controls have been released and are now available for download. Major new features are described below. See the announcement post for the detailed list of enhancements and updates, including many items not listed below. This version makes all the WinRT/XAML controls compatible with Windows Phone, meaning that licensed controls will work in both Windows Store and Windows Phone apps! We've even added a nice phone-based Sample Browser app to show off usage of the controls on the phone. 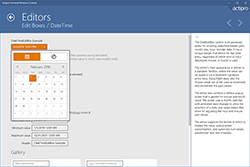 Actipro Editors is a brand new product that we've been working on for quite a while now and provides over 30 user input controls for common .NET data types such as dates, times, numbers, colors, enumerations, sizes, and many more. Each of the controls features unique designs that have been specifically crafted to support input by keyboard, mouse, and touch. Data entry is quick and efficient regardless of the input method utilized by the end user, which is especially ideal for universal applications. All of the controls fully support Windows Store and Windows Phone apps, with alternate appearances as appropriate for phone usage. We will be blogging and walking through all of the controls in the next couple weeks so keep an eye on our blog. We've added a new MicroSegmentChart control for use on dashboards, infographics, or as progress indicators. More details on this control soon too. 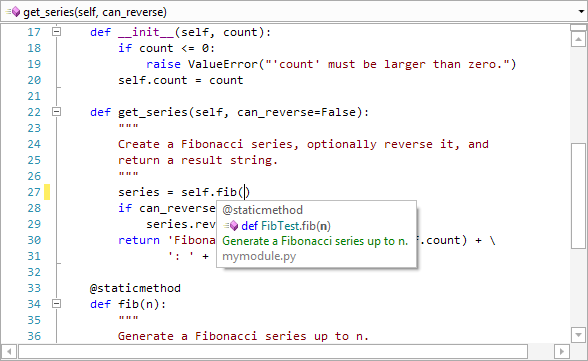 Along with various minor enhancements and updates, we have added a brand new premium Python Language Add-on that supports advanced editing for Python v3.x and v2.x. This first release includes parsing, syntax error reporting, code outlining, smart indent, delimiter highlighting/completion, and more. Look for another update soon featuring automated IntelliPrompt! See this previous blog post for more details on the new add-on. Several other fun new controls and converters are included with this version too. Added the TransitioningContentPresenter control, which uses animated fade, slide, push, and zoom transitions when new content is set. Added the ContentTransitionPreview control, which demonstrates a content transition by continuously cycling two content items. 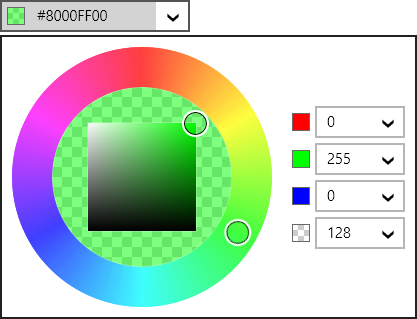 Added the ParallaxConverter that can be used to create a parallax background scrolling effect. Added the BooleanNotConverter that can invert boolean values.